Chủ đề: Medusa Box new update ! Medusa Box v1.5.5 is out! Added support for HTC Droid Eris (A6376), Samsung SGH-A887 and LG P690f cellphones! Repair: OSBL, SPL, HTC (Security Area) partition (thanks to Mr. Dr_Wolodya). Samsung SGH-A887 - added Dead Boot/Phone Repair (thanks to Mr. Dr_Wolodya). LG P690f - added Dead Boot/Phone Repair. - Repair files are uploaded to the support area. - Made some improvements to the main software. Medusa Box team is endlessly grateful to customers who were actively involved in improving this software. Medusa Box v1.5.7 - Sony ST21i and more! Medusa Box v1.5.7 is out! Added support for Sony ST21i Tipo, Samsung SGH-ZV60, Huawei U2800 and Huawei U8110 cellphones! Sony ST21i Tipo – added Dead Boot Repair (only boot repair, without Security Repair). Samsung SGH-ZV60 – added Dead Boot/Phone Repair (thanks to Mr. Dr_Wolodya). Huawei U2800 – added Dead Boot/Phone Repair (thanks to Mr. Dr_Wolodya). Huawei U8110 – added Dead Boot/Phone Repair (thanks to Mr. Dr_Wolodya). - Repair files uploaded into the support area. Medusa Box v1.5.8 is out! Samsung GT-S5253 and Samsung GT-S5300! - Added support for Broadcom BCM2155 CPU with eMMC storage. Sony ST21a Tipo - added Dead Boot Repair (only boot repair, without security repair). Samsung GT-C6712 - added Dead Boot/Phone Repair (thanks to Mr. Dr_Wolodya). Samsung GT-S5253 - added Dead Boot/Phone Repair. Samsung GT-S5300 - added Dead Boot/Phone Repair. Medusa Box v1.5.9 is out! Added support for HTC Sensation XL, HTC One V, HTC Desire V, HTC Sensation 4G, HTC Flyer, SKY IM-A650S, Huawei S7-101, Samsung SGH-T989D, Samsung SGH-T589W! HTC Sensation XL – added Unlock (via Read codes), Repair CID, Repair IMEI, Repair: OSBL, HBOOT, RECOVERY, HTC (Security area) partition. HTC One V – added Unlock (via Read codes), Repair CID, Repair IMEI, Repair: OSBL, HBOOT, RECOVERY, HTC (Security area) partition. HTC Desire V – added Unlock (via Read codes), Repair CID, Repair IMEI, Repair: OSBL, HBOOT, RECOVERY, HTC (Security area) partition. HTC Sensation 4G – added Repair: OSBL, HBOOT. 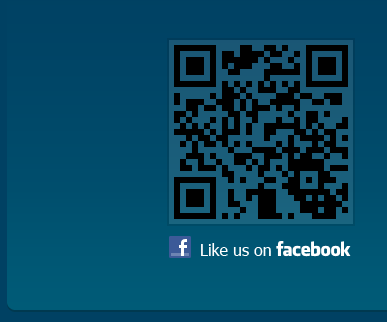 HTC Flyer – added Unlock (via Read codes), Repair CID, Repair IMEI, Repair: OSBL, HBOOT, RECOVERY, HTC (Security area) partition. SKY IM-A650S – added Dead Boot/Phone Repair. Huawei S7-101 – added Dead Boot/Phone Repair. Samsung SGH-T989D – added Dead Boot/Phone Repair. Samsung SGH-T589W – added Dead Boot/Phone Repair. - Speed optimizations for Qualcomm MSM8260 and APQ8060 CPUs with eMMC, up to 2x faster Read and Write procedures! Medusa Box 1.6.3 - featuring GT-I8530, SHW-A300S, SHV-E160K! Medusa Box v1.6.3 is out! Samsung GT-S7500, Samsung GT-S6802, Samsung GT-S3370 and LG E900, LG E900h and LG E906. Samsung SHW-A300S - added Dead Boot/Phone Repair. Samsung SHV-E160K - added Dead Boot/Phone Repair. Samsung SHV-E160S - added Dead Boot/Phone Repair. Samsung GT-I8530 - added Dead Boot/Phone Repair for Jtag not-halted devices (world's first)! Samsung GT-S7500 - added Dead Boot/Phone Repair. Samsung GT-S6802 - added Dead Boot/Phone Repair. Samsung GT-S3370 - added Dead Boot/Phone Repair. LG E900 - added Dead Boot/Phone Repair. LG E900h - added Dead Boot/Phone Repair. LG E906 - added Dead Boot/Phone Repair. - Repair files uploaded to the support area. we will try to add solutions for these devices in future if it'll be possible. 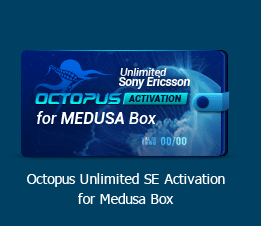 Medusa Box v1.6.4 - added Samsung T469, S5670, Huawei E353u-2, U121, Vodafone 716! Medusa Box v1.6.4 is out! Added support for Samsung SGH-T469, Samsung GT-S5670, Huawei E353u-2, Huawei U121, Vodafone 716! and released some improvements to the main software! Samsung SGH-T469 - added Dead Boot/Phone Repair. Samsung GT-S5670 - added Dead Boot/Phone Repair. Huawei E353u-2 - added Dead Boot/Device Repair. Huawei U121 - added Dead Boot/Phone Repair (thanks to Mr. Dr_Wolodya). Vodafone 716 - added Dead Boot/Phone Repair (thanks to Mr. Dr_Wolodya). - Fixed "Unknown flash device. Device No:ID = 0:00000000" issue while repairing GT-I9100 or GT-N7000. - Added support for Qualcomm MDM8200A Mobile processor with NAND flash. - Added support for new CPU ID for Samsung GT-S5838C (thanks to Mr. Uzmantel). - Repair files are uploaded into the support area. Medusa Team continuously delivers the best solutions for your business. More to come, stay with us! 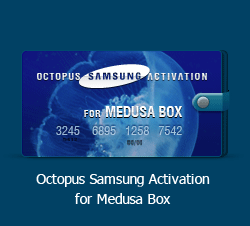 Medusa Box v1.6.6 - Samsung SHW-A220S, SGH-I827, LG P700, P705f/GO, P708g and more! Medusa Box v1.6.6 is out! LG P700, LG P705f, LG P705g, LG P705GO, LG P708g! Medusa Box ******* - Full (contains all software manuals inside) and Light (without manuals). the manual you need to click "Help" button and it will be downloaded automatically. - Fixed pinout picture for GT-S5660 in the manual (thanks to Mr. Avatar). Medusa meets your needs. More new updates and improvements are on their way, so stay tuned! And don't forget to check out Octoplus Box - the most robust Unibox/JTAG phone servicing tool on the market. Medusa Box v1.7.0 - many ZTE devices added! Medusa Box v1.7.0 is out! Added support for a wide range of ZTE devices! INQ Mini 3G - added Dead Boot/Device Repair. ZTE Blade (P729B) - added Dead Boot/Device Repair. ZTE F951E - added Dead Boot/Device Repair. ZTE Libra - added Dead Boot/Device Repair. ZTE Skate - added Dead Boot/Device Repair. ZTE Style Q (TQ150) - added Dead Boot/Device Repair. ZTE MF102 - added Dead Boot/Device Repair. Dell XCD35 - added Dead Boot/Device Repair. - Repair and Full Flash files are uploaded to the Support Area. All of the listed above models were added to the list of supported thanks to Mr. DR_Wolodya once again. Medusa Team is endlessly grateful to Mr. DR_Wolodya for his hard work and long-term collaboration on the project. Medusa Box v1.7.1 is out! also added support for LG E970, Samsung GT-S7530, Samsung SGH-T749, ZTE V889F (Model A2)! LG E970 - added Dead Boot Repair. Samsung GT-S7530 - added Dead Boot Repair. Samsung SGH-T749 - added Dead Boot/Phone Repair (thanks to Mr. Dr_Wolodya). ZTE V889F (Model A2) - added Dead Boot Repair. - Added support for Qualcomm APQ8064 CPU with eMMC storage. - Added support for Qualcomm MSM8225 CPU with eMMC storage. so stay tuned and follow the news, 'cause it's going to get hot! Medusa Box v1.7.2 - Broadcom BCM21654 Mobile Processor with eMMC storage added! Medusa Box v1.7.2 is out! for Samsung GT-S6010, Samsung GT-S6012, LG C660H, LG C660R, Toshiba G810 and Toshiba G910! Samsung GT-S6010 - added Dead Boot Repair. Samsung GT-S6012 - added Dead Boot Repair. LG C660H - added Dead Boot Repair. LG C660R - added Dead Boot Repair. Toshiba G810 - added Dead Boot/Device Repair (thanks to Mr. Dr_Wolodya). Toshiba G910 - added Dead Boot/Device Repair (thanks to Mr. Dr_Wolodya). - Added support for Broadcom BCM21654 Mobile Processor with eMMC storage. Medusa is still the best there is giving you support for the latest mobile devices and CPUs.ned, there's gonna be more! 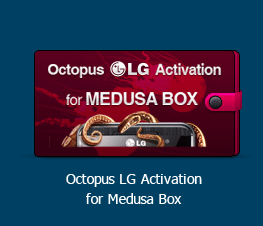 Medusa Box v1.7.4 - LG NEXUS 4 E960, Samsung GT-S6102 and GT-S6102B! Medusa Box v1.7.4 is out! 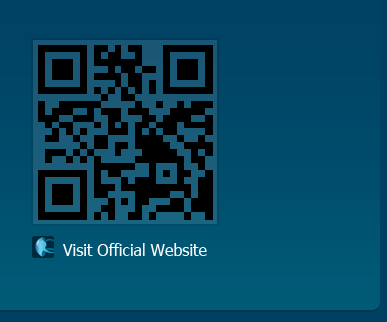 Added support for LG NEXUS 4 E960, Samsung GT-S6102 and Samsung GT-S6102B! LG E960 - added Dead Boot Repair. Samsung GT-S6102 - added Dead Boot/Device Repair (thanks to Mr. Drunya_L). Samsung GT-S6102B - added Dead Boot/Device Repair. - Added new Core IDs of some new revisions of Qualcomm CPUs. - Repair and Full Flash files were uploaded to the support area. Medusa Team delivers the best solutions for your business. More to come, stay with us! Medusa Box v1.7.5 - HTC repair via USB added! Medusa Box v1.7.5 is out! Added possibility to repair supported devices via TP and USB! "Qualcomm MSM8x55/7230 (USB)" CPU in AUTO mode and restore a device by writing Full Flash file). Read/Write Flash - all via USB. - Help files with TP pictures were added to the listed above models. - Full Flash and Repair files were added to the Support Area. - Made other slight changes to the main software. And that's what we call improvement! Trust us, it's just a beginning of what's Medusa going to become. Medusa Box v1.7.6 - Samsung P1010, i5800 and more! Medusa Box v1.7.6 is out! Added support for Samsung GT-P1010, Samsung SGH-I847, Samsung GT-I5800 and Samsung GT-I5800L! Also added support for Samsung S5P6422 Mobile CPU with OneNAND storage! Samsung GT-P1010 - added Dead Boot/Device Repair. Samsung SGH-I847 - added Dead Boot/Device Repair. Samsung GT-I5800 - added Dead Boot/Device Repair. Samsung GT-I5800L - added Dead Boot/Device Repair. - Added support for Samsung S5P6422 Mobile CPU with OneNAND storage! - Repair and Full Flash files were uploaded to support area. Medusa Box - there's more than meets the eye. Tons of features inside, lots of improvements to be made in nearest future. Stay with us, follow the news! Medusa Box v1.7.8 - another 5 new models added! Medusa Box v1.7.8 is out! Added support for LG E435, Huawei E160g, Huawei E169, Huawei E220, Gigabyte G1342! LG E435 - added Dead Boot Repair. Huawei E160g - added Dead Boot/Device Repair (thanks to Mr. Dr_Wolodya). Huawei E169 - added Dead Boot/Device Repair (thanks to Mr. Farhod Electronic™). Huawei E220 - added Dead Boot/Device Repair (thanks to Mr. Farhod Electronic™). Gigabyte G1342 - added Dead Boot Repaire (thanks to Mr. Dr_Wolodya). Medusa Box - one tool, dozens of features and tons of supported mobiles! Medusa makes difference. Medusa Box v1.8.1 is out! Also added support for Samsung GT-I8730, Samsung SGH-A877, SoftBank 730SC, LG E971, LG E973, Huawei U1280! - Added support for Qualcomm MSM8930 Mobile Processor with eMMC storage. Medusa Box - your ultimate one and only device for boot repair of the most popular and the most recent mobile devices.